‘Water, water everywhere! And not a drop to drink!’ is the famous quote from Samuel Taylor Coleridge’s poem, The Rime of the Ancient Mariner. This quote aptly captures the situation of a potential water shortage in Singapore. Water conservation takes centrestage and becomes pivotal, to help us tide us over times of emergency water crisis. Water rationing was last implemented in Singapore between April 1963 and February 1964. Last Monday’s two-hour rainfall that induced tremendous floods in segments of Johor Baru has done little to improve markedly low water levels in the Linggiu Reservoir — one of the main sources of Singapore’s water supply. Singapore’s national water agency, Public Utilities Boards (PUB), commented that it would monitor the situation. It also announced Singaporeans will be instructed to conserve water in the local context, should the need arise. Low precipitation is the key problem in Singapore. It was reported in The Straits Times on 18 November 2015, that Singapore taps 250 million gallons of water daily from the Johor River, which quenches approximately 60% of Singapore’s water supply requirements. When contacted, the PUB said, it “urges all individuals and organisations to consciously save water in their daily lives and operations”. As Senior Research Fellow Cecilia Tortajada, from the Institute of Water Policy at the Lee Kuan Yew School of Public Policy says, “Water-saving steps taken by the PUB have been pricing and non-pricing measures, including technical ones, both mandatory and voluntary, as well as public education efforts.” Example includes water conservation plans, water pricing (for domestic and non-domestic users), water conservation tax, awareness campaigns, water efficient homes programmes, installation of low capacity flushing cisterns and thimbles. Moreover, there has been the implementation of the WELS, which the PUB website states, ‘Started in 2009, the Mandatory WELS is a grading system of 0/1/2/3 ticks to reflect the water efficiency level of a product. Currently, taps and mixers, dual-flush low capacity flushing cisterns (LCFCs), urinal flush valves and waterless urinals are labelled under this Scheme’. The greater the number of ticks a product has, the more water-efficient it is considered by consumers. With this WELS scheme, consumers can make informed choices when buying products from stores. 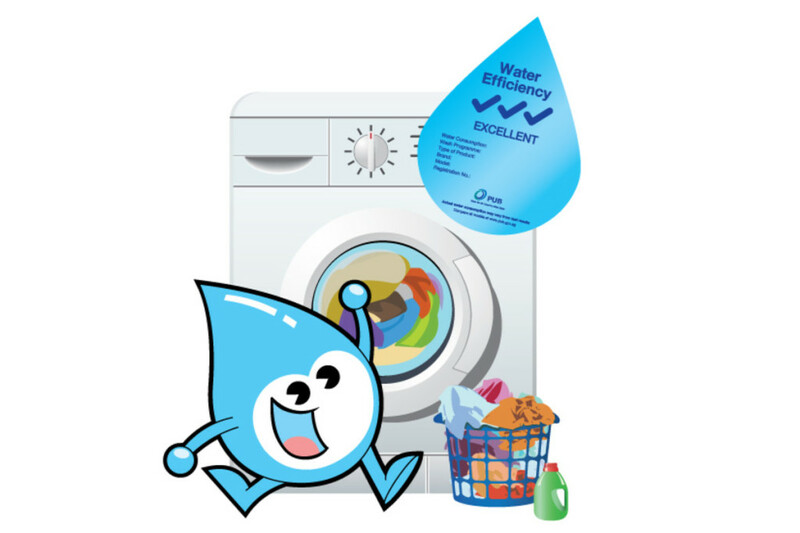 The PUB website states, ‘Starting 1 October 2011, washing machines sold in Singapore will also carry a mandatory Water Efficiency label. Showerheads continue to remain under the Voluntary WELS’. • Reusing rinsed water from the washing machine to flush toilets or mopping floors. • Minimise car-washing and utilising a bucket of water instead of a running hose. • Watering plants in the early morning or late evening (before 7am or after 7pm) to reduce evaporation losses. • Keep non-essential usage such as general washing to a minimum. In an increasingly drought-prone geographical region, climate change exacerbates the risks involved. Hence, we need to have a back-up plan, in case Singapore encounters a water-shortage situation. In short, we ought to water-down our water usage, or else catastrophe could strike Singapore. As Tortajada foresees, ‘In the near future, it is necessary to implement conservation measures such as adjusting tariffs. They have remained unchanged since the year 2000 and do not represent an incentive for population to save water’. This article was published by SIX-SIX NEWS, November 24, 2015.